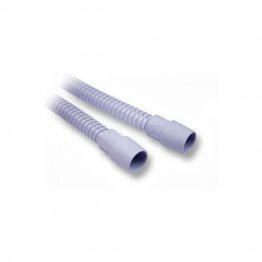 This durable CPAP hose is 22mm in diameter and conforms to standard CPAP equipment specifications and is compatible with almost all CPAP, APAP, and BiPAP systems available in the market including all ResMed systems, as well as systems from DeVilbiss, Fisher & Paykel, Puritan Bennett, and others. 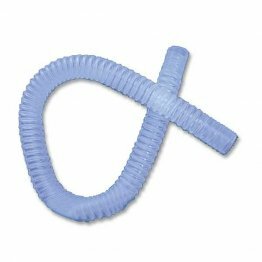 CPAP hose is used for connecting your machine to your mask. 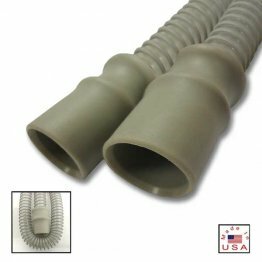 This CPAP hose features a smooth bore interior, which means that there are no ridges inside the hose to increase air resistance. 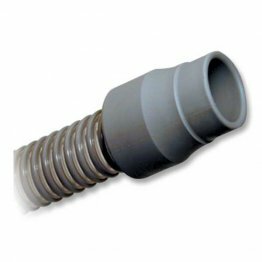 Rubber end to ensure tight seal for efficient positive airflow delivery. 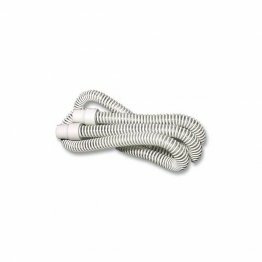 This hose is required for use with the Puritan Bennett GoodKnight 420S and 420E CPAP machines. 6 Feet long with 360 ergonomicallydesigned 22mm cuffs. 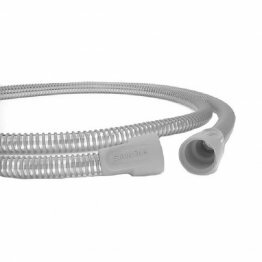 Ultragen CPAP tubing is lighter and has better designed cuffs than your standard hose. 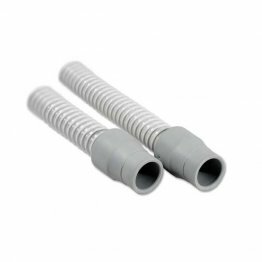 The tube diameter is 22mm and is compatible to most CPAP machines and masks. 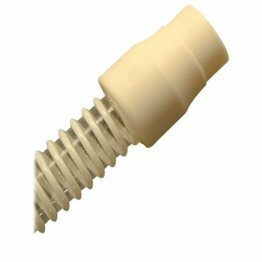 Lightweight ergonomic grip cuff design allows easier attachment and detachment to and from the machine. 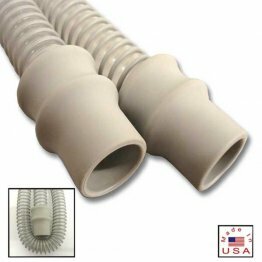 Ultragen tubing cuffs are single-angle designed, which is superior to the flat angle design found on standard tubing. 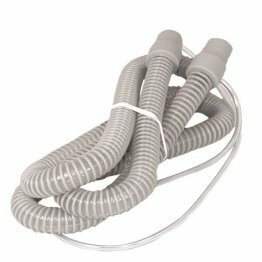 Available in 6 lengths to best accommodate your CPAP needs. 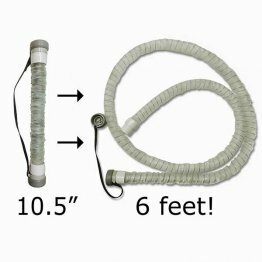 2 foot, 3 foot, and 7 foot tubing available.